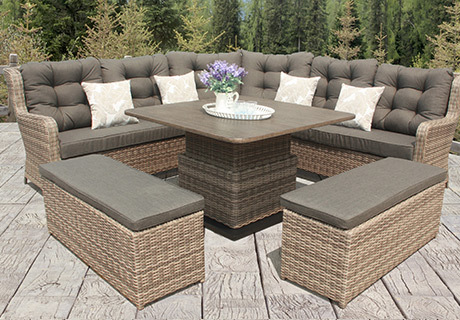 Durable synthetic wicker furniture with cushions included. And it’s weatherproof! 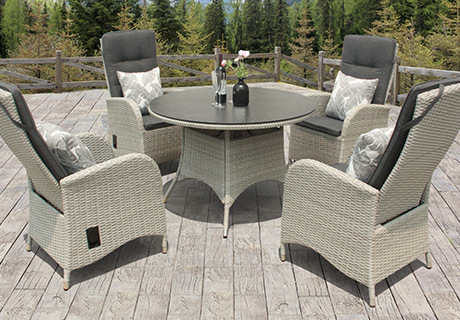 There’s nothing more enjoyable than a family bbq in the sunshine, however it wouldn’t be complete without the perfect dining set to enjoy the food! You can browse a range of 4 seater, 6 seater and 8 seater dining sets, in a range of shapes and colours on our website. 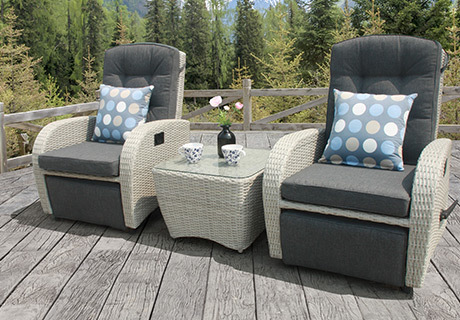 Relax and unwind, on a luxurious rattan sofa set, with cushions included and a range of colours and styles. By choosing modular furniture, you can adjust it to meet your needs, giving you flexibility to host any sort of party you like! Sometimes you just want a rattan chair set to relax on a smaller patio area. 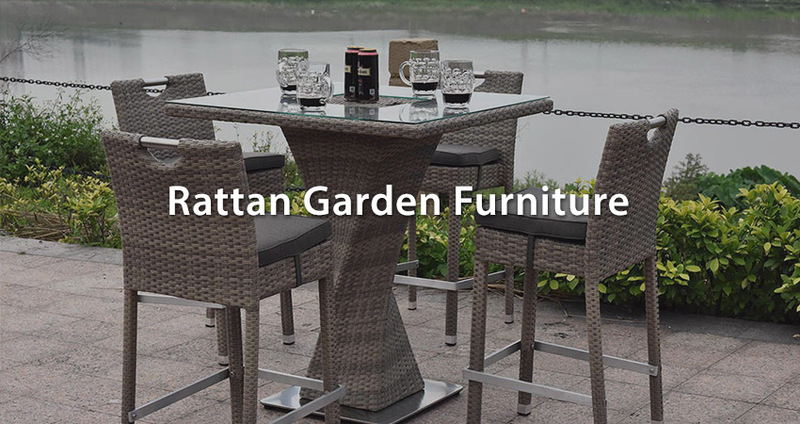 The ideal place to enjoy breakfast in the summer, our rattan bistro sets come with large or small arm chairs, and footstools or footrests are included. We even have rocking chairs! Unlike the traditional creaky wicker furniture that used to be reserved for conservatories, this new brand of synthetic rattan is far more durable and comfortable. Whilst this is still made from hand woven threads, the subtle difference is that these synthetic fibres do not tighten up over time and become stiff, they remain pliable and conserve the natural “give” in the chairs. This makes them very comfortable over time. The second big difference is the use of UV stabilization in the plastic materials. This ensures that when left outside in the sun the threads don’t break down and become brittle, making this set perfect for leaving outside. The frames are also made from aluminium to ensure no rusting occurs over the cold weather of winter.